Now, you would think having 8 ref frames would look better than having 3 ref frames and LA BRC set to 100, but you're wrong, drastically wrong. Not only does 8 ref frames look far, and I mean far worse, but it actually takes 28% longer to encode than just using 3 ref frames and LA BRC set to 100. *Update! * I have since found out ages later through testing, that having OpenCL is causing the issue with QuickSync and being unable to go any higher than 8 ref frames, with OpenCL turned off I can now do 8 Ref frames with LA BRC set to 100, and the encodes look phenomenal. Anyways, I hope this helps clear up the confusion I am seeing all over these forums, and why people can't get Quick Sync to work even if its enabled in their system, took me 5-6 days of digging around tech documents and finding out how Quick Sync worked exactly, plus about a dozen hours playing with Media coder settings to figure out the best ones. *EDIT* QuickSync is known to not work/turn on unless its been activated by having a monitor turned on, even if its not connected. 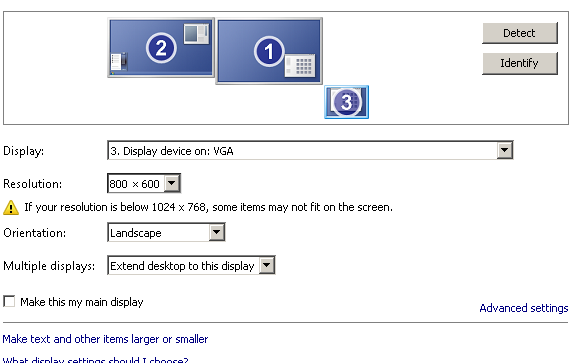 http://i.imgur.com/lZusvCp.png Is an example of how you do this, in this case, you make a 3rd monitor in my case by clicking detect display, then setting up as shown. This turns on QuickSync and allows any other programs on the computer to use it. intelHD needs to be actively used by a monitor in order for the computer to use QuickSync, why I dunno. You don't need to have a monitor hooked up, but this is one way to do it.